It was an ordinary morning. I had not been married two years yet, and was teaching Physics at Westwood High School. I got ready like always, ate breakfast like always, gathered my bookbag like always, kissed Rusty goodbye like always. In the car I tuned into the talk radio station, my mind going over the quiz I planning to give my students that day. The DJ’s were talking about the Monday Night Football game from the night before. My favorite team, the Denver Broncos, had played and lost. The sports recap switched over to the hourly news and a strange update. They said that there were reports out of New York that a small plane had hit the World Trade Center. By the time I arrived at school fifteen minutes later, those reports were of a big plane, then as I pulled into the parking the unthinkable- they are reporting that the second tower was struck. We were under attack. I rushed inside to my classroom to turn on the television. Seeing it live didn’t make it any more real. I couldn’t stop watching it. None of us could. I pitched the quiz I was planning for the day and we just watched the TV in class. I couldn’t concentrate enough to do a physics problem, how could I expect it of my students? The administrators told us not too keep the TV on, but I felt that history was being made, it was all any of my students were thinking about, and so I did it anyway. I do not regret it. That’s what I remember about that day- watching the events unfold with my students. 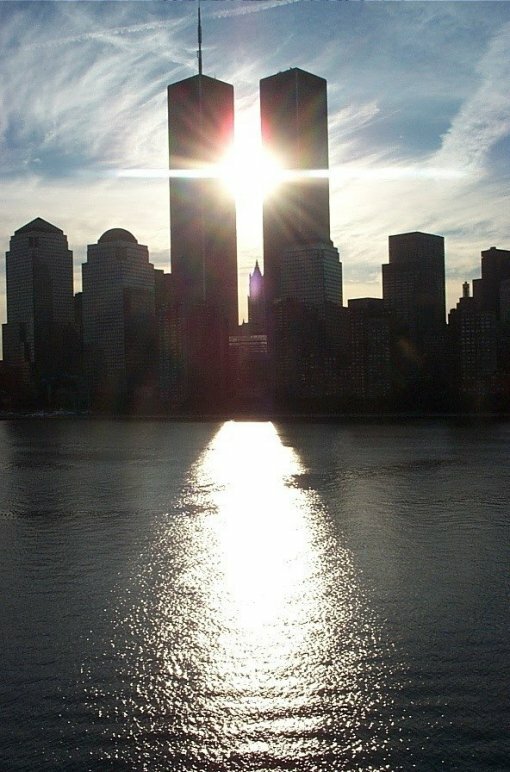 Every year on September 11th, our country becomes serious, sober, quiet as we all remember. We know where we were, what we were doing, how we felt. The world kept turning, keeps turning, but every year, that rotation seems to slow- to perceptibly pause- on this date. This year, the tenth anniversary, it is especially prevalent. This pause for remembrance has been a relief to me for the last four years. On the sixth anniversary, September 11th 2007, my brother died in Denver, completely unrelated to the attacks in 2011 except for the date. Now, on the anniversary of my brother’s death, a day tinged with sadness and memorials, it is a comfort to walk in a world that is respectfully somber, quietly remembering. It is a relief not to mourn and remember alone. Like it says in the book of Romans, “Rejoice with those who rejoice, mourn with those who mourn.” It’s cool in the saddest possible way. On September 12th, the world will speed back up to its proper pace, rush back into its busyness. But for one day it is good to slow down, good to remember. There are enough other days to rejoice in life. I don’t enjoy 9/11 anniversaries, but it is satisfying to remember, especially since the alternative is forgetting.